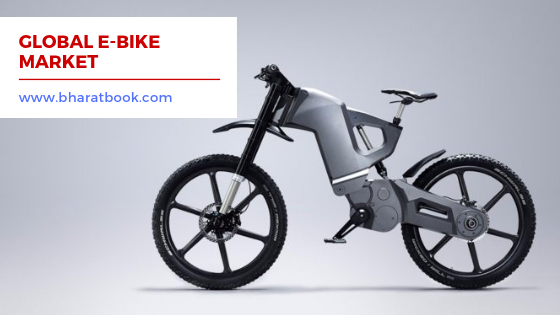 Bharat Book Bureau Provides the Trending Market Research Report on “E-bike Market by Class, Battery Type (Lithium-ion, Lithium-ion polymer, Lead Acid), Motor Type (Mid, Hub), Mode (Throttle, Pedal Assist), Usage, and Region (Asia Pacific, Europe, North America) - Global forecast to 2025” under Heavy Industry category. The report offers a collection of superior market research, market analysis, competitive intelligence and industry reports. Global E-Bike Market is estimated to be USD 21.1 billion in 2018 and is projected to reach USD 38.6 billion by 2025, at a CAGR of 9.01%. Many countries across the globe are facing the problem of traffic congestion, especially in crowded cities. The population of vehicles is increasing day by day, rendering the existing road infrastructure insufficient. Traffic congestion affects each individual’s personal and professional lives. As a result, governments and civic bodies are taking steps to reduce traffic congestion. Class-I segment is estimated to be the largest market, in terms of value. Asia Pacific is estimated to be the largest growing market for e-bikes during the forecast period.